Gauhati High Court Job 2019 : Library Assistant/Computer Assistant /Court Attendant/ Lawn Attendant - Jobs in Asam | Recruitment, Result, News in Assam, Northeast, India. 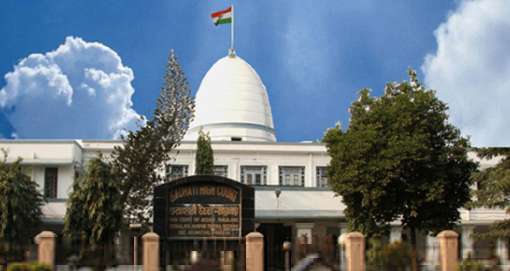 Online application are invited from eligible candidate for filling up of the following categories of posts in the Principle Seat of Gauhati High Court in the usual scale of pay mentioned against the post. The number of vacancy shown is indicative only and may vary at the time of final selection. a) Gradate from a recognized University. b) Diploma/Degree in library Science from a recognized University . Preference will be given to the candidate having degree in law from a recognized University and proficiency in use of computers. Graduate from a recognized university. Diploma certificate in Computer Operation /applications. b) Should posses a valid Professional Driving License. Candidates must possess the educational qualification of Class-VIII standard; and those who have passed HSSLC (Higher Secondary) or above shall not be eligible to apply for the said post. Candidates possessing special skills may be given preference on need basis. Last date fro payment of fee: 08/03/2019 till bank transaction hour.